College Admissions Essay: One of the first things we’re doing is writing college admissions essays and resumes. Here’s a great (and short) article on admissions essays: writing the essay sound advice from an expert. A more current article with some very practical advice is here: “How to Write a Good College Application Essay.” Bring prompts to class on Friday, August 31st. (If you aren’t applying to a college that requires an entrance essay, use the Common App prompts.) A polished draft of one of your entrance essays is due on September 14. Creating a Resume (also due September 14): There’s a wealth of information out there — search for it! Look at examples and use templates to format your resume properly and attractively. And here’s a super fun, unique short story originally published in Vanity Fair in 1932: Ordeal by Cheque. See if you can figure out what happened and support your interpretation with details from the story. 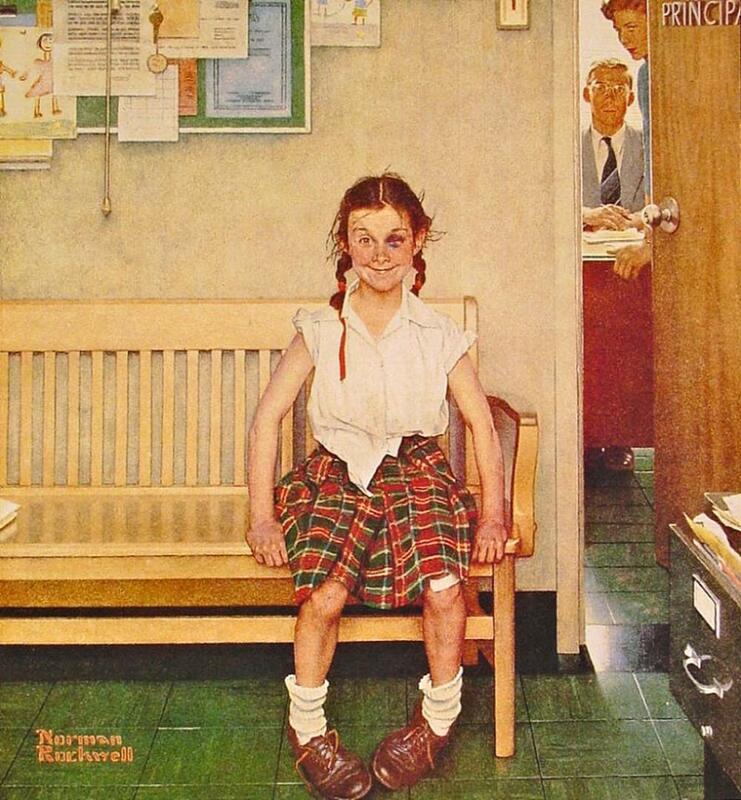 If time allows, we’ll take a look at some Rockwell paintings and see if you can come up with entertaining stories that are supportable by details in the paintings. In case you missed class between 8/30 and 9/4, here’s the activity on Tobias Wolff’s “Hunters in the Snow” Read carefully and as you read pair details from the story — setting, objects, events, descriptions, etc. — with the patterns we outlined in class from How to Real Literature Like a Professor. Some potential signifiers might be: North Star, Frank’s Ring, The dog (and its shooting), Setting: night, snow, etc. Tub: obesity, secrecy, etc. Frank: pedophilia, philosophizing, Kenny: bullying, shooting dog, Kenny dying while Frank and Tub open up to each other . . .